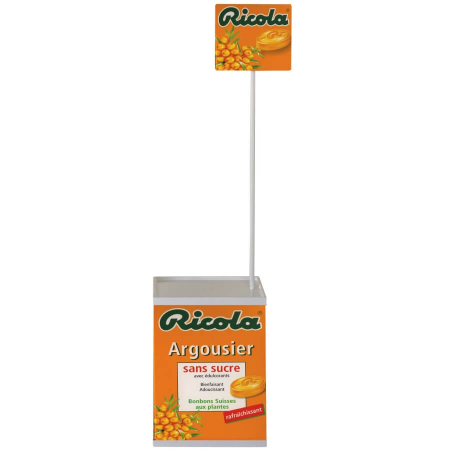 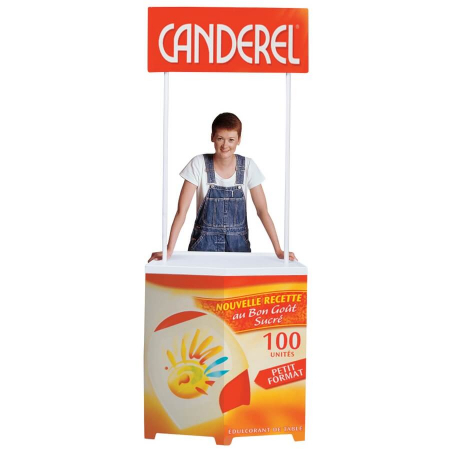 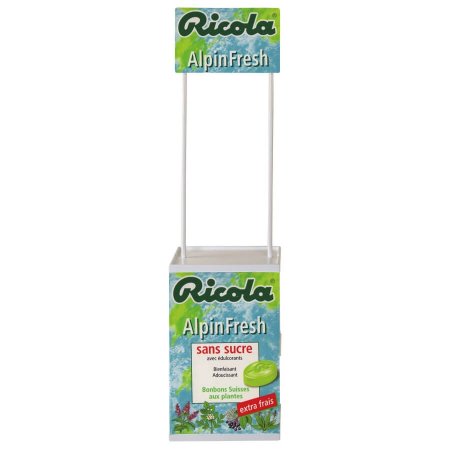 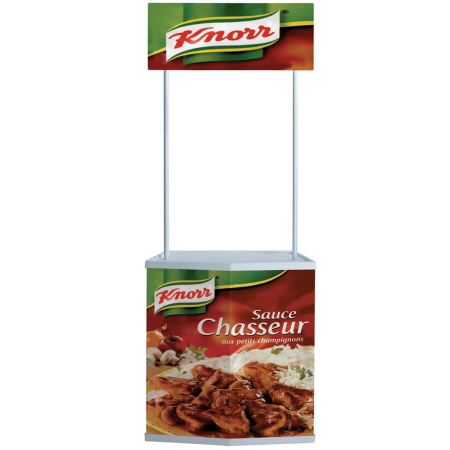 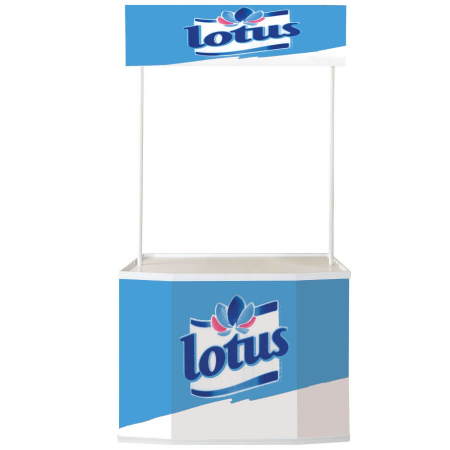 Promotional and demonstration counters are ideal solutions for indoor and also outdoor events. 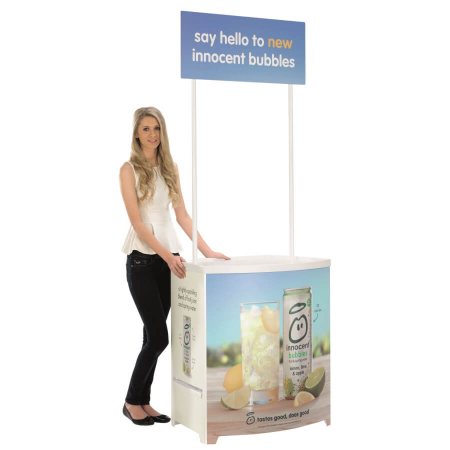 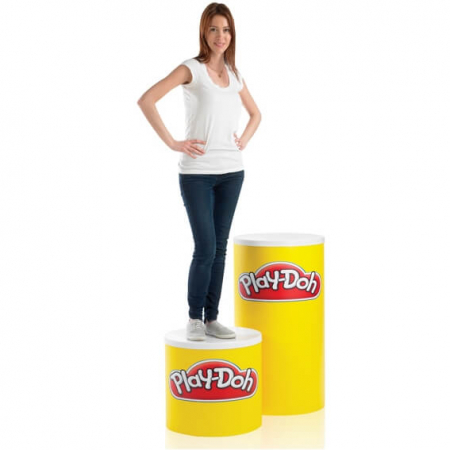 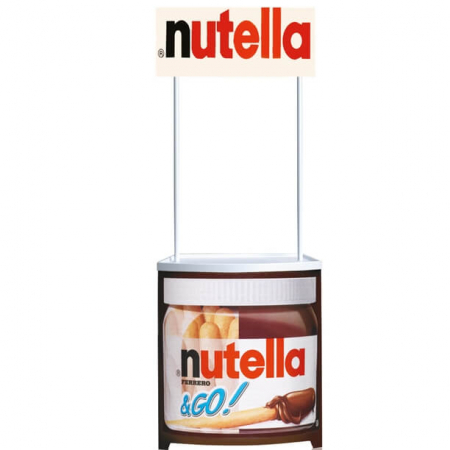 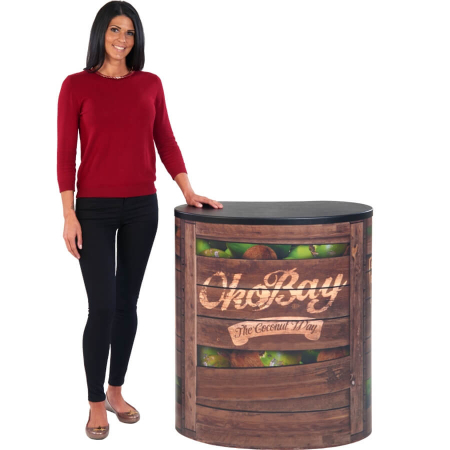 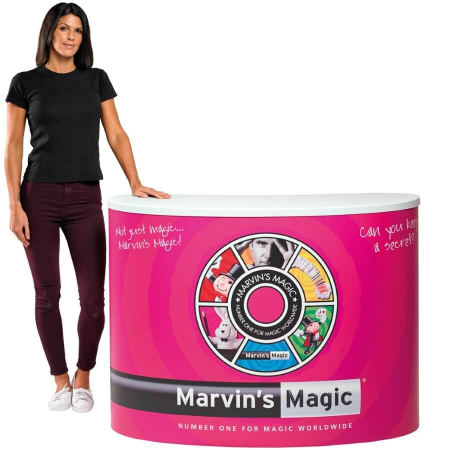 Great for trade shows or exhibitions. 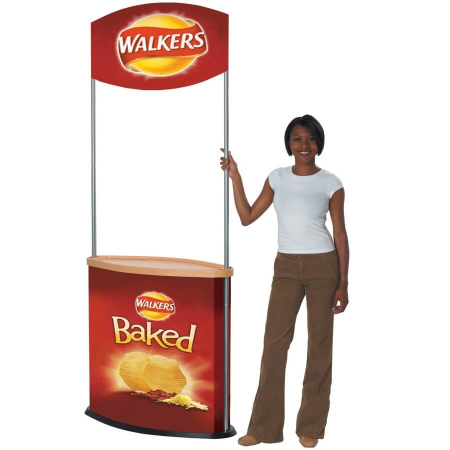 And for retail sales applications, such as supermarkets. 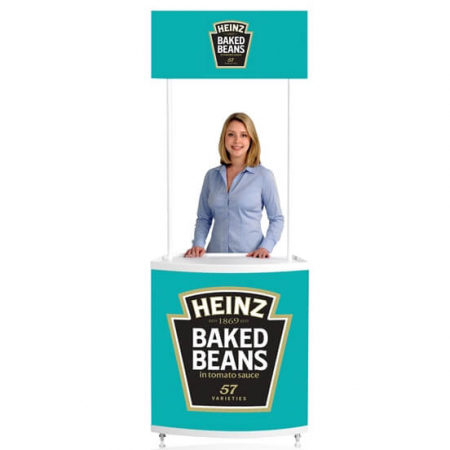 Perfect for introducing new foods, products or services to potential customers. 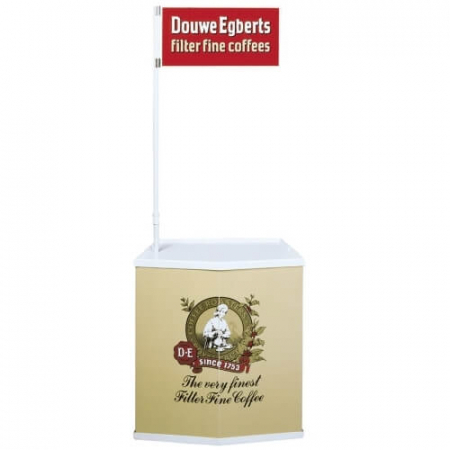 Pack away and transport easily using the available carry bags. 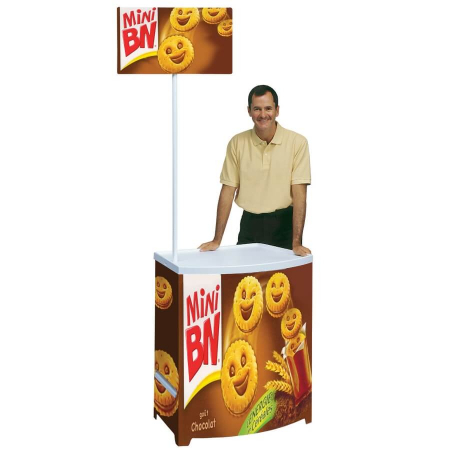 Setup within minutes at the next event. 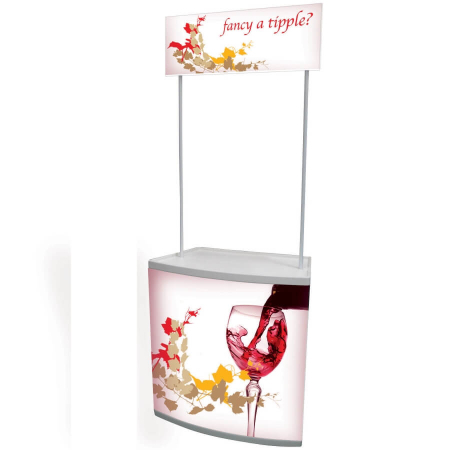 Choice of styles to suit different applications or promotions. 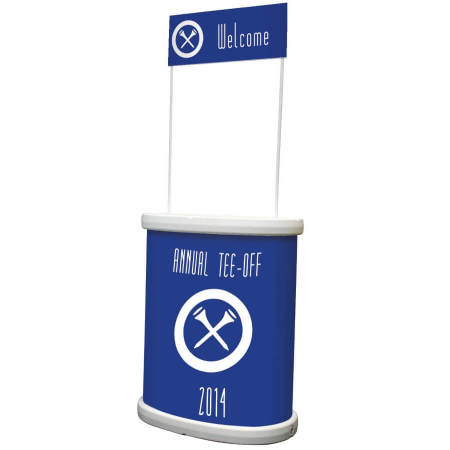 Customise with your branding to the front, sides and header (if applicable). 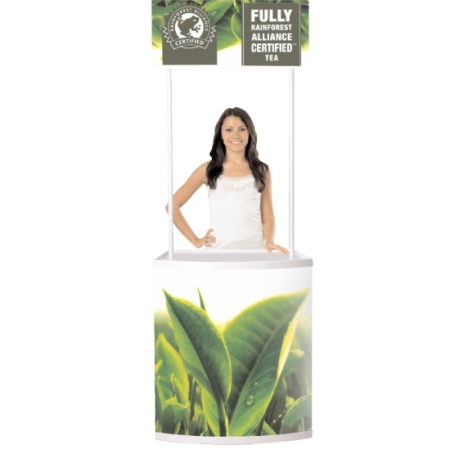 Create a high impact display. 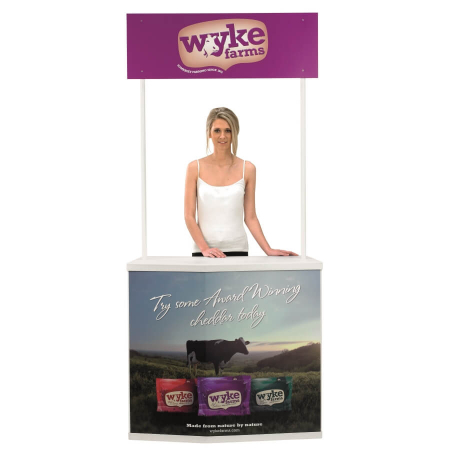 For a more professional option, we also offer exhibition counters. 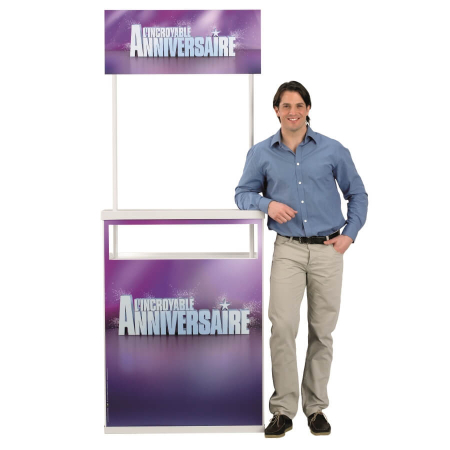 Made from Linear components to create lightweight and robust portable counters. 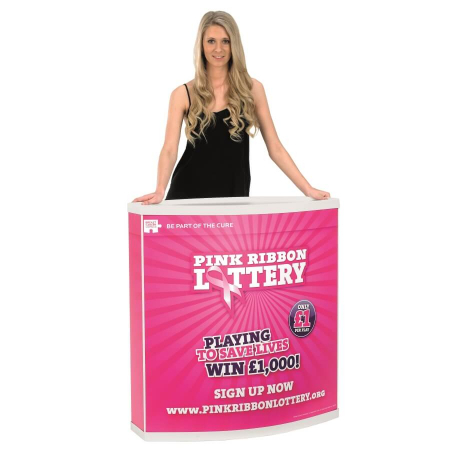 For custom options and discount on bulk orders please get in touch. 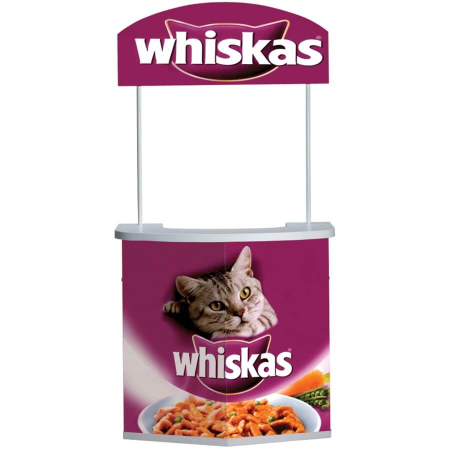 Call us on 01793 613088 to discuss your needs.